U.S. Consul General Mary Ellen Koenig hosted a luncheon sponsored by Butterfield Bank for local entrepreneurs celebrating Women’s Entrepreneurship Day on November 17, featuring American guest speaker, Monica Dodi, founder of The Women’s Venture Capital Fund. The luncheon was part of a series of activities highlighting Global Entrepreneurship Week [GEW] in partnership with the Bermuda Economic Development Corporation [BEDC]; the guests included Bermuda women, ranging from experienced business owners, recently established entrepreneurs to those exploring entrepreneurship as a future career. As founder of The Women’s Venture Capital Fund – which seeks to expand the number of women entrepreneurs creating capital efficient, high-growth companies in digital media and sustainable products and services – Ms. Dodi offered advice about how to approach investors, focusing on what investors typically look for in a start-up business. She also shared her personal journey as an entrepreneur. Ms. Dodi was a co-founder of MTV Europe and spearheaded European Licensing for Walt Disney, contributing to the success of their European based products. She proved to be a successful international new-media entrepreneur and created and developed a variety of highly successful global brands. Prior to the luncheon, Ms. Dodi headlined BEDC’S Women’s Day breakfast seminar, sponsored by HSBC Bermuda – Can We Have it All?- at HSBC Harbourview, where she spoke to a larger audience about how to obtain funding and the importance of diversity in the work place. Junior Minister of Economic Development Senator Crystal Caesar opened the breakfast that included a panel of local business women who highlighted key moments in their careers that drove them towards success and how they were able to expand their businesses locally and internationally. Each panelist encouraged women to set specific goals and network aggressively and emphasized the importance of work life balance. 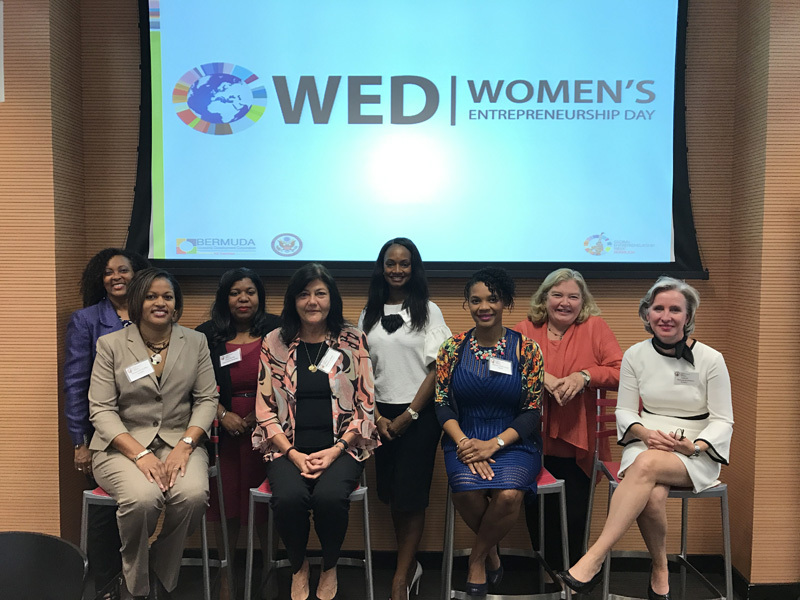 Local panelists included, Isabelle Ramsay-Brackstone, founder of The Bermuda Perfumery, Simone Smith-Bean, founder of law firm Smith Bean & Co. and Shawnette Griffin, Vice President of Consumer Credit at Bank of NT Butterfield. 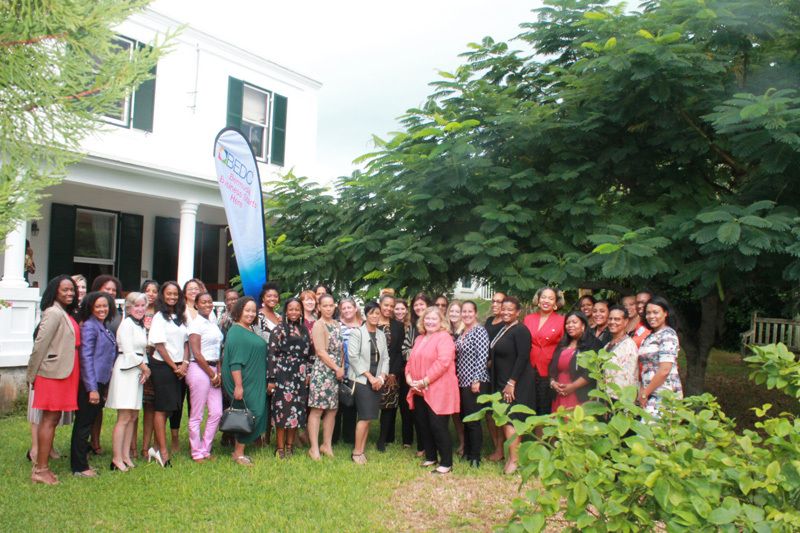 Women’s Entrepreneurship Day is part of a movement that empowers, celebrates and supports women in business worldwide and was part of Bermuda’s month-long calendar of Global Entrepreneurship Week [GEW] activities. 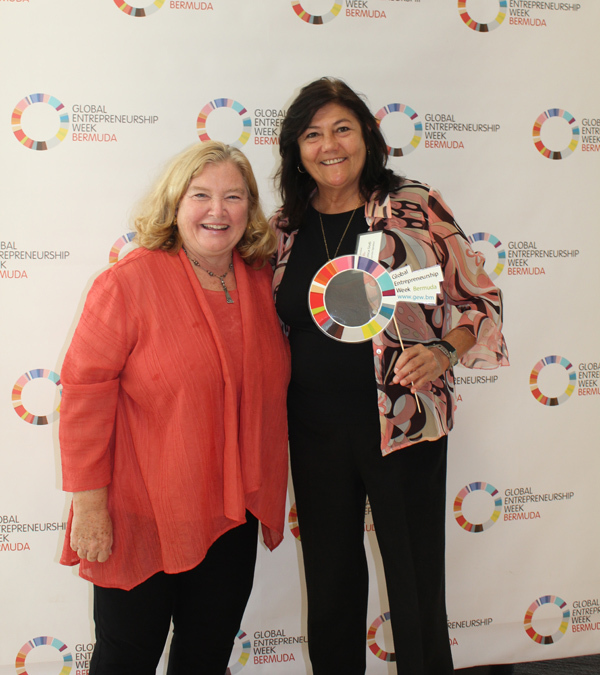 This year, BEDC celebrated their 10th anniversary of participating in GEW – a global initiative celebrated in over 160 countries recognizing innovators and job creators who drive economic growth and expand human welfare. GEW inspires people everywhere through local, national and global activities designed to help them explore their potential as self-starters and innovators. Joyce Hayward, BEDC Business Consultant stated “Working with the US Consulate General’s Office to coordinate these events that focused on women entrepreneurs was a privilege. It was great to see women entrepreneurs collaborating and networking together. For more information about Women’s Entrepreneurship Day or Global Entrepreneurship Week, visit- www.womenseday.org.